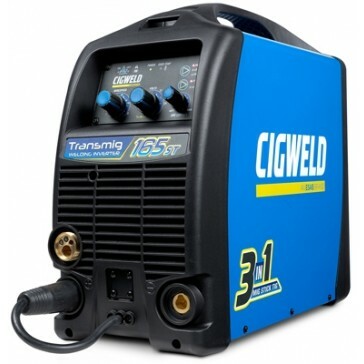 The Cigweld Transmig 165ST is a part of the famed Transmig Series of Three-in-One Inverter Welders. Cigweld is Australia's most popular welding brand and the Transmig Series represent premium quality MIG Inverter Welders with Stick and Lift Arc TIG capability. 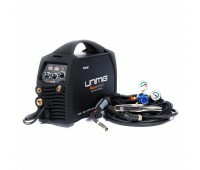 In MIG mode, the machine is capable of Gas and Gasless Operation and Features Stepless Inverter Technology for Incredibly Stable Arc characteristics and professional level MIG runs. 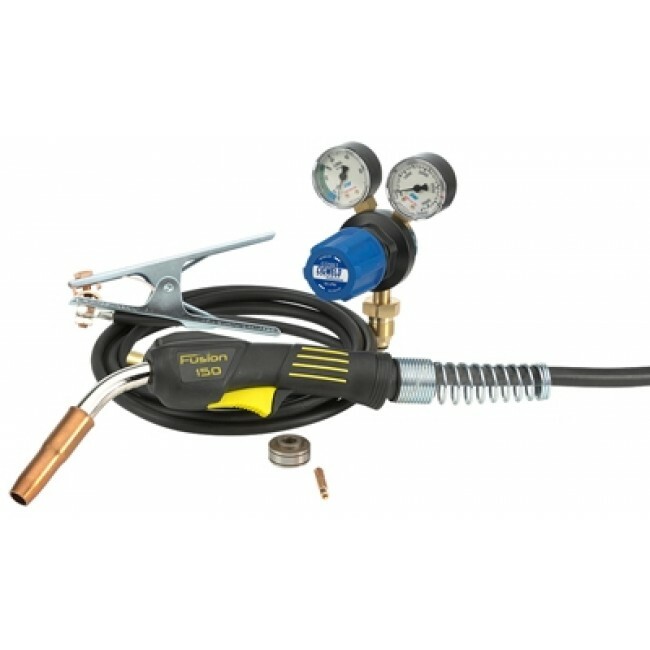 It is fitted with Integrated Wire Feed Technology for faultless, smooth wire feeding, and comes with a Tweco Fusion Heavy Duty 150 amp MIG Torch. The machine also features Burnback Adjustment, to minimise wire wastage, and Arc Inductance for Arc intensity control. 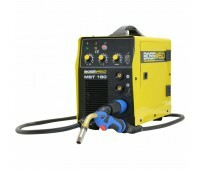 It has a 30% Duty Cycle at its maximum 165amp output, and is fitted with a 15amp plug. 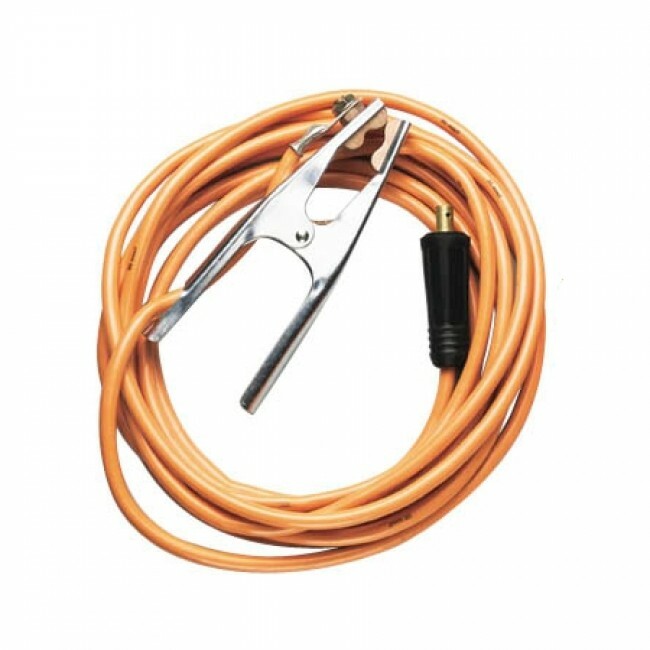 It is capable of light industrial welds to 8mm on mild steel, and can also produce professional welds on stainless steel and aluminium. It runs on 0.6-8mm solid and gasless wires and 0.6-1.0mm Aluminium Wires. 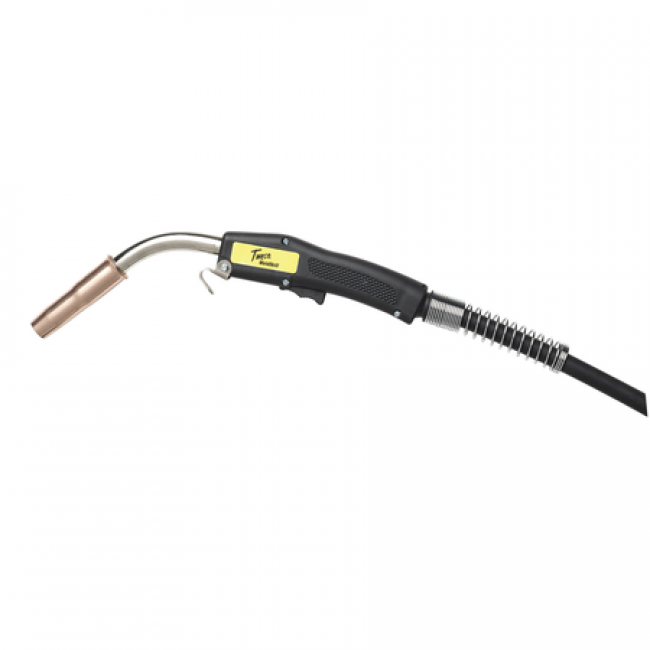 The Machine features Lift Arc technology for faultless DC TIG welding Arc Ignition, without having to make contact with the work piece. In Stick mode, the machine runs 2-4mm Electrodes. The Machine is also equipped with a Voltage Reduction Device, for user safety an is a lightweight 14.5kg Power Source. 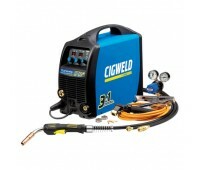 It is backed by Cigweld's Three Year Warranty. 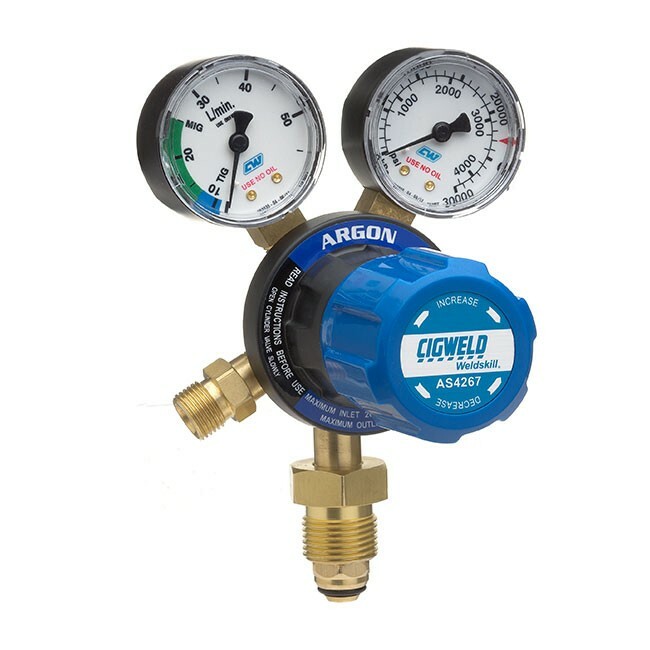 Fully compliant to AS 60974.1-2006. Enclosure rated to IP23S - ndoor & outdoor use. Arc Control (Inductance): (MIG) mode only and is used to adjust the intensity of the welding arc.